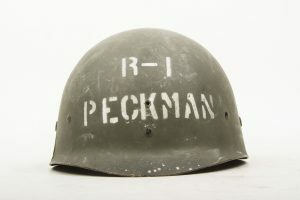 Nice original wartime M1 helmet liner by Westinghouse named R-1 Peckmann. 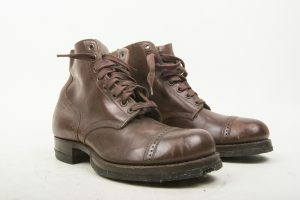 The liner is in very good, lightly worn condition. There is one crack in the liner which is common on these fiber based liners. Nice example! 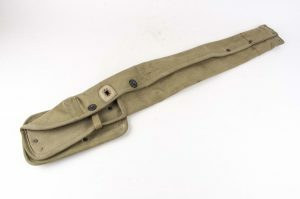 Original 1943 dated M1 carbine hip holster. This holster was designed so the wearer could wear the M1 carbine on the hip. 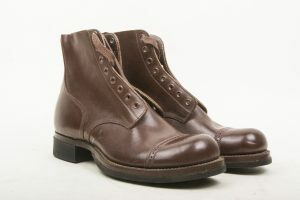 Only produced in small numbers it was never put in large scale production. This holster was only produced in 1943 by JQMD. The holster is in mint unissued condition! 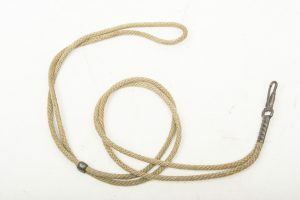 A super rare accessory for the M1 Carbine enthousiast!